There was an interesting book review in the Financial Times today about a common plant and iconic fruit, the apple. 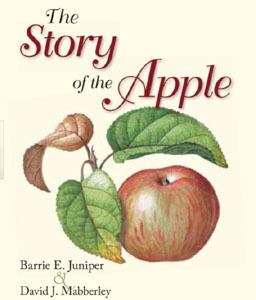 The Story of the Apple, by a pair of botanists, Oxford’s Barrie Juniper and the University of Washington’s David Mabberley, chronicles their search through cultural, historical, and DNA evidence to trace the apple’s origins. Their best evidence points to the forests of Kazakhstan. This is removed from the biblical areas of the middle east and fertile crescent, where temperatures do not get cold enough to help apples properly germinate. It is fascinating to ponder the rich past of such a commonly cultivated plant and leads to curiosity about the sources of other plants we take for granted.